The National Aquarium in Baltimore is re-examining what counts as humane when it comes to the life of its dolphins. Facing increased disillusionment over such spectacles, the aquarium plans to move its dolphins to an enclosed outdoor sanctuary that mimics a natural environment. How much can change for dolphins that were raised in captivity? Science correspondent Miles O’Brien reports. Finally- the challenge of finding a new home for dolphins long held in captivity. That is the goal for a group of dolphins who have been living in Baltimore's Inner Harbor, so to speak, and have been a major attraction to millions of visitors over the years. Like other retirees, they may be headed south. But it's no simple decision. Miles O'Brien has the story for our weekly series on the Leading Edge of science and technology. At the National Aquarium in Baltimore, a dolphin's day is carefully planned, and meticulously executed by a team of trainers. Susie Walker is one of them. Our dolphins get fed six meals a day, and there's a lot of different goals we have to accomplish with them throughout the day. We have enrichments between 12.00 and 1.00. And that is their free time. They can do pretty much anything they want; 1.00 session is a learning session, so we're focusing a lot on learning new behaviors; 3.00 is a relationship session. It's very important that we really understand them as individuals, because they're all very different from one another. And then the 5.00 session is an exercise session. So, just like us, they need physical fitness. So they need to exercise. You got to get those heart rates up. Somehow, in the course of this busy day, there is time for this. Good morning, everybody. Welcome to Dolphin Discovery. A chance for people to enjoy these beautiful, smart animals in action. It's a thrill to see them up close. Really good look on how powerful these guys are. But don't call it a show. The aquarium prefers to describe it as a presentation. The semantic shift is telling, part of a sea change, a new way of thinking about whether this is humane. This show model doesn't really work in this aquarium. 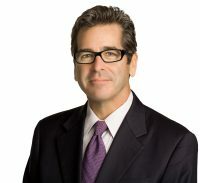 John Racanelli is the CEO and president. He says the public and the professionals have become increasingly disenchanted with this spectacle. We need to get out of that awful era that we have been through for the last 100 years of caging animals. But habitat-based organizations, places that really try to give the animals that kind of choice and control, create naturalistic setting for them, recreate habitats as best we can, I think that's the best hope we have for humans to be able to continue to connect with animals in an increasingly urbanized, distant world. But that is not possible here in Baltimore's Inner Harbor. That reality, coupled with a looming need to spend up to $30 million to repair and renovate this 26-year-old facility, prompted Racanelli to announce a bold decision in 2016- The show will not go on. And despite all the doting care, the dolphins' days here are numbered. In 2020, the aquarium plans to move its captive dolphins to a large outdoor sanctuary, an enclosed, yet natural environment that none of these animals has ever known. As far as we know, there are no sanctuaries like this for dolphins in the world. There are many people talking about it, but it hasn't been done, or it certainly hasn't been done to the level that we're planning to do it. The $15 million dream looks like this. Making the rendering real has prompted Racanelli and his team to log a lot of mileage on the Overseas Highway in the Florida Keys. This has been their habitat for probably — actually, probably millions of years, ever since Florida was a giant coral reef. So, the idea of the dolphins finding a home in a place where dolphins have always made a home is a really good one. And it is a big driver for us to want to do this here. On this day, they visited Cudjoe Key, 20 miles from Key West. It is one of about 30 sites they have seen, and it is a leading contender. Can you imagine your dolphins being here? You look at this and you look at that rendering side by side, all we need is an egret to fly into the picture. Racanelli and dive safety officer Jackie Cooper got geared up for a look beneath the surface. This would be a good spot to work with the dolphins. So, so far, so really good. It is an abandoned limestone quarry excavated in the early 1900s to build the railroad. It contains about 150 times more water than the concrete tank in Baltimore. It is enclosed, but limestone is porous, so it is naturally filled with the water and life found in the Gulf of Mexico. What they saw underwater did nothing to change their minds about the suitability of this place. I think the thing that was most impressive was, there was life everywhere, everywhere. Every time you turn around, a bunch of little clams and scallops were closing their doors. Did you hear the snapping shrimp? I did hear the pistol shrimp this time. Absolutely. That was really cool. They were cracking it up down there, wherever they are. Lots of life, though, lots of — lots of life. Fourteen miles up the Overseas Highway is another possible location, on No Name Key. The site holds some allure, but sits inside the National Key Deer Refuge. The miniature deer are federally endangered, complicating zoning and permitting challenges. Here, Racanelli met Matt Sexton with the Conservation Fund, who is helping the aquarium acquire a site. Unlike Cudjoe, this site is adjacent to a residential neighborhood, and some of the people who live here are wary. So, maybe it's just a question getting the neighbors to understand what this is all about, perhaps, as much as anything. Absolutely. And the neighbors are — they like this project. I mean, they think this is a great thing that the aquarium is doing. So, they're on board. But they have concerns about how it might impact them. And that's just part of the processing. We will work with community. We will talk to them about their concerns. We will help them understand what the goal is of this project. And we will listen to their concerns. Meanwhile, back in Baltimore, they are working hard to make the move less stressful, for the dolphins and the humans. They have taught the pod to drink water, so their system can be flushed if they eat the wrong thing, and they are teaching them how to swim onto stretchers. Kerry Diehl is an assistant curator of dolphin discovery. Eventually, we'd like to have them come up out of the water and be held by multiple people. From there, we want them to be comfortable being lifted in a stretcher. And, in theory, we can take them for a ride around Baltimore and get used to that, used to being in a truck, the sounds, the sights of all that. Just like any other behavior, we break each behavior down into baby steps. We're going to do the same thing with this. It's just a bigger, more challenging behavior. They have raised the water temperature in the tank to 80 degrees and are allowing algae to grow. Algae is a natural part of the environments that they are going to, so we're starting to show it to them here. And it's also acclimation training for us, too, because we can't see them as well, and we're used to, right now, being able to see them at all times, right down to the bottom of the habitat. So, it's also acclimating us trainers at the same time. To be sure, these dolphins are not going to be set free. Without regular meals, they would likely not survive for long in the wild. Their world, since birth, has been governed by interactions with humans. It is one of their key stimuli. And, as a result, I really think taking away the humans would be one of the worst things we could do. This team is very tightly bonded with the dolphins, and several of them will go with the dolphins. I think that interaction will continue for a long time, if not for the full lives of these dolphins. So, even once they are here, dolphin days will be similar. The goal is to try it help the dolphins really feel comfortable with some of the things that they're going to experience, so that it's not a whole bunch of change all at one time. You guys are like helicopter parents. Yes, oh, yes. You better believe it. We love them very much, and we know that they are very unique. It's an exciting experiment, because everything we're doing is groundbreaking. And there is something about that that's very satisfying, to give these dolphins the opportunity to truly thrive. This is the road not yet traveled, but, if it works, the aquarium expects more captive dolphins from other facilities will come here, making it easier to imagine a world where dolphins are no longer confined in concrete. In Cudjoe Key, Florida, I'm Miles O'Brien for the PBS NewsHour. We hope they find the perfect home for the dolphins. We're sure, though, going to miss them here in the Northeast. How was Larry Nassar allowed to abuse athletes for so long?